Lava’s Fuel series has gained popularity in the Indian smartphone world as buyers are willing to buy smartphone with long lasting battery. Lava has brought to light its budget smartphone Iris Fuel 20 for Rs. 5399. The Fuel series from Lava is known for its battery life and is proudly announcing its new member, Iris Fuel 20 like other handsets Iris Fuel 50 with 3000mAh battery and Iris Fuel 60 with 4000mAh battery. The handset is designed to fulfil the users need who are heavy users and looking for device with massive battery life that let them go on with the device for more than a day. This device is pricey 2G phone that gives user a pleasure. Lets get started to know more. It features a 5” screen with FWVGA display with 854*480p. It comes with a dual SIM support with a dual standby feature. It supports dual band GSM and no 3G connectivity. The smartphone runs on Android 4.4 KitKat and comes with 4GB ROM that is expandable to 32GB through microSD card for storing videos and songs. 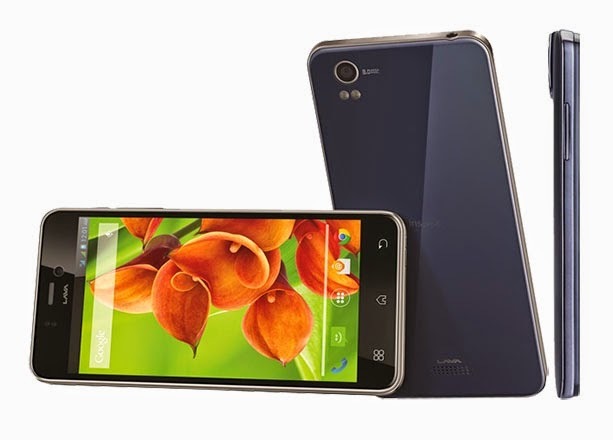 It features much capable 1.3GHz dual core MediaTek processor with 512MB of RAM. The smartphone is boasted by 4400mAh battery that delivers 42 hours of 2G talk time, 13 hours for video playback and 35 hours for music playback. It has a 5MP camera that is capable enough to click good pictures and is supported by LED flash which helps in producing images in low light. It also features front VGA camera that helps is both clicking selfies and video recording. It can also make 720p videos and all can be stored in its vast memory that is a plus point. Massive 4400mAh battery, this smartphone has the second biggest battery available today after Gionee Marathon M3. This Lava Smartphone comes with a massive battery in affordable price. But since 3G connectivity is not available, so you can compromise with its battery.